Quick no mess resin bond, with bespoke nail brush applicator for easy application. American Dream’s Liquid Gold Bond is a strong-hold temporary resin that is painted onto a weft top end. The hair piece is then ready to attach, one centimetre or lower from the scalp onto the natural hair itself. Attach pieces section by section to add colour, volume and length as desired. A whole head can be completed in less than 30 minutes and, with precise cutting and blending, you’ll achieve a fantastic finished look in no time. Very popular with session stylists as well as salons that want to offer clients a fast, effective, temporary solution for wear between 1- 6 weeks. Before application ensure the client’s hair has been washed using Liquid Gold Pre-Bonding Shampoo to remove residues and grease. 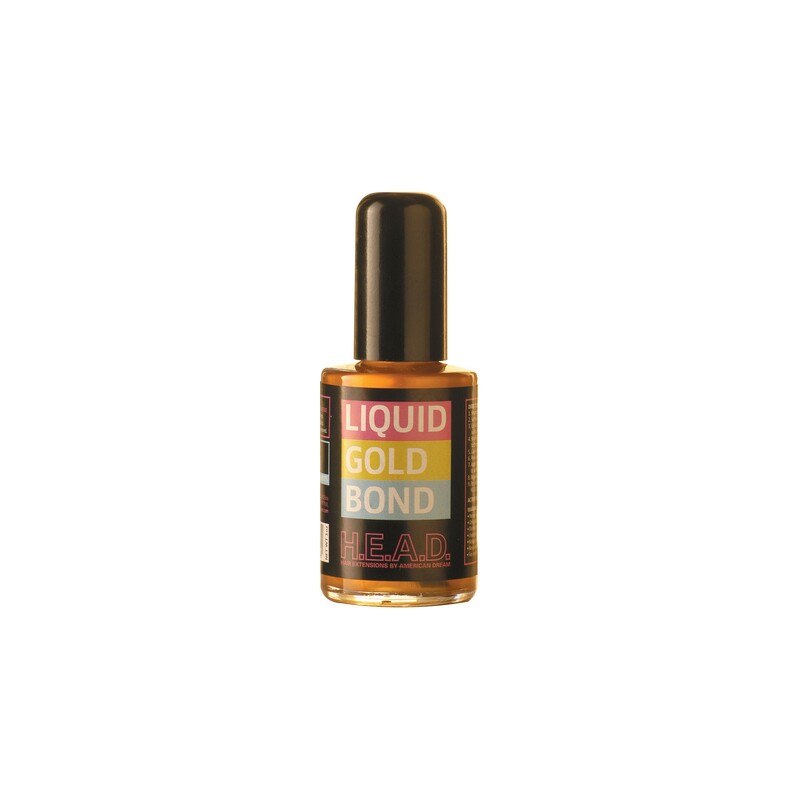 Always do a patch test on clients to ensure they don’t experience any adverse reaction to Liquid Gold Bond. Use the specially formulated Liquid Gold Remover to remove the resin bond with ease.